Get your nails and cuticles seriously moisturised and conditioned with OPI Avoplex Oil. Containing OPI's exclusive Avocado Lipid Complex, it replenishes your nails and cuticles, leaving them looking beautiful. •Apply to your cuticles twice daily to soften your cuticles and lock in essential moisture. •Ideal for use on both natural and artificial nails. 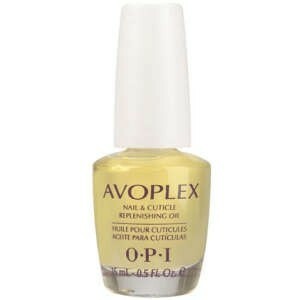 I cannot express enough being a beauty therpist how much applying a good cuticle oil daily keeps your nails looking and feeling great. This actual product is fantastic,applied to your nails daily it will keep them nourished and healthy and less prone to breaking therefore helping your nails grow longer and healthier. It smells really lovely and feels really good giving your nails an instant more helthy look. "I cannot express enough being a beauty therpist how much applying a good cuticle oil daily keeps your nails looking and feeling great. This actual..."